We will help you discover your career fit and make a solid plan for a career you will love. We are a career consulting company committed to helping children and adults better understand their unique talents and interests in planning for long-term academic success and career satisfaction. A teen client and her mother share how EPIC Career has helped the teen build career focus and enhanced their relationship. "Working with Dr. Rodriguez has been a game changer for me…armed with a new insight into my strengths, I’m excited to see how far I can go." "[Dr. Rodriguez] opened my eyes to a deeper understanding of myself and how I can apply that toward both my personal and professional life." 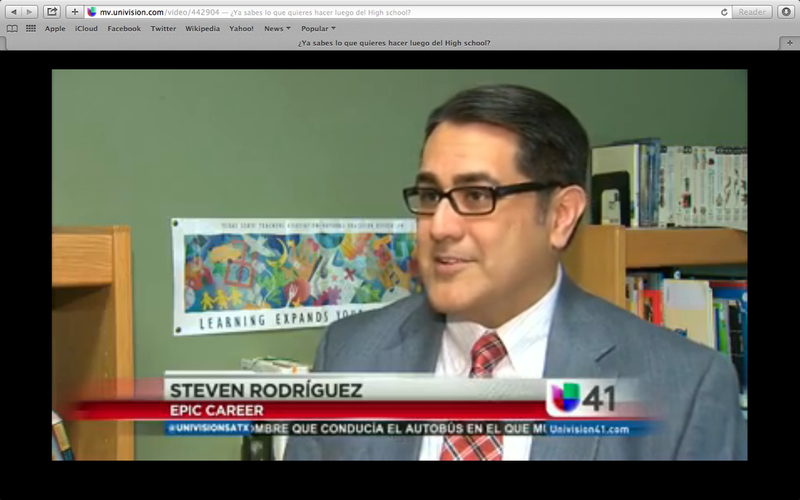 A teen client and his family tell Univision television reporter Alban Zamora about how EPIC Career has helped them in their college and career planning.